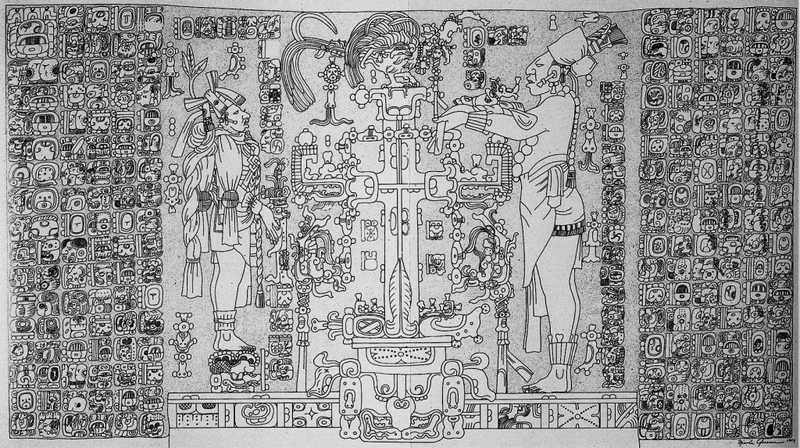 From the 1888 First Edition to the Online Edition. Note: this is an ongoing project. Last updated: March 5, 2019. For a list of works referenced referenced in The Secret Doctrine, see the Secret Doctrine References. Added romanized Sanskrit beneath Devanagari text. Changed to proper IAST Sanskrit. āryān is the masculine accusative plural of ārya. Changed to italics to reflect book title (when not in italics The Secret Doctrine refers to the wisdom-religion itself; when in italics to the present book). Changed to italics to reflect book title (occurred twice in this paragraph). Removed small caps and italics (unnecessary formatting). Changed to italics to reflect book title (occurred twice on this page). Added the “e” that was missing in the original edition. Changed to italics to reflect book title. The proper Sanskrit is brāhmaṇa. Brahmin remains the common anglisized form, but the long ā ought to be present to distinguish clearly between a brāhmaṇa and brahman. Changed to italics to reflect book title (occurred four times on this page). Removed capitalization. There are no capital letters in Sanskrit, and when referring to a root it is best to leave the term in lower case. Changed to proper IAST Sanskrit. Hyphen added to indicate that it goes together with the following term “buddha”; these form a compound term in Sanskrit. Hyphen added to indicate that it goes together with the following term “buddha”; these form a compound term in Sanskrit. Changed to proper IAST Sanskrit. brahmā is the masculine nominative singular of brahman. Changed to proper IAST Sanskrit, with hyphenation left in place. Changed to proper IAST Sanskrit. ātmā is the masculine nominative singular of ātman. Changed to proper IAST Sanskrit. vikārāḥ is the masculine nominative plural of vikāra. Changed to proper IAST Sanskrit. Occurred twice on this page. Changed to proper IAST Sanskrit. māyā is the feminine nominative singular. The proper Sanskrit is brāhmaṇāḥ (masculine nominative plural). Brahmin remains the common anglisized form, but the long ā ought to be present to distinguish clearly between a brāhmaṇa and brahman. Added proper Chinese pinyin in square brackets. Changed to proper Pali transliteration. Changed to proper Chinese pinyin. Corrected spelling and added modern name. Updated spelling to modern standard. Added English translation (from the French) in square brackets. Updated spelling to modern standard (Spanish), and added English translation in brackets. Changed to modern format. It was common in older English to hyphenate today and tomorrow. Changed “an” to “in” for consistency. The proper Sanskrit is brāhmaṇāḥ (masculine nominative plural). Brahmin remains the common anglisized form, but the long ā ought to be present to distinguish clearly between a brāhmaṇa and brahman. Updated to the common modern transliteration. Updated to the common modern transliteration, and included full name. Updated footnote reference. Added proper romanized spellings in square brackets. Updated to common modern transliteration. Updated to more common modern spelling. Updated to modern Chinese pinyin. Updated to common modern spelling. Updated to modern Chinese pinyin. Occurred three times on this page. Updated to modern Chinese pinyin and provided full title. Lectures on the “Science of Religion.” p. 185. Max Müller. Updated to common modern spelling. Occurred twice on this page. Bunsen’s “Egypt’s Place in History,” vol. i. p. 200. Bunsen, Egypt’s Place in Universal History, 1848, vol. I, p. 206. Changed to italics to reflect book title, and corrected the title and referenced page number. Spence Hardy, “The Legends and Theories of the Buddhists,” p. 66. Spence Hardy, The Legends and Theories of the Buddhists, 1866, p. 66. Changed to proper IAST Sanskrit. See title page. far more numerous . . .
(far more numerous . . .
Added “Book I.,” for consistency in formatting between volumes. Added missing semi-colon. See vol. 1, p. 64. See W. Wassiljew [Vasil'yev], Der Buddhismus, seine Dogmen, Geschichte und Literatur, 1860, pp. 97 et seq. Updated footnote reference and spelling of name. “—950” was clearly a typesetting error, as the book being referenced is only 380 pages. Stanza III., Sloka 3. was mislabeled as 2. Changed to proper Hebrew transliteration, based on ISO 259. These terms appear multiple times on this page. Added the marker (a), which connects to (a) in the text of the Stanza. See the edition edited by Boris de Zirkoff, where the same is added. Added the marker (b), which connects to (b) in the text of the Stanza on p. 83. See the edition edited by Boris de Zirkoff, where the same is added. from each of the seven seven times seven lights. from each of the seven, seven times seven lights. Added missing comma. See vol. 1, p. 32 & 122. Changed to full book title, and changed to italics to reflect book title. to create their images One third refuses. to create their images. One third refuses. Added missing period. See vol 1, p. 33. The second half of Stanza VI., Sloka 5. was mislabeled as 6. Note: the correct Hebrew term for “egg” is ביצה [bēṣāh], whereas ביוץ means “ovulation”. The latter is most likely the term H.P.B. sent to the printers in her MS., as it would be easy for a non Hebrew speaker to visually mistake the letter י for the letter ד if written by hand. Also, the term ביוץ, pronounced “biyutz,” is more closely connected to the pronunciation of the term “baoth”, with its pronouniation of “ba’ot” or “bo’oot”. See also the Hindi term “bahut” and the Sanskrit “bahu”. Added missing ”. See vol. 1, p. 33. Corrected Hebrew spelling, and added proper Hebrew transliteration, based on ISO 259, in square brackets. Replaced ” with full word, for clarity. Occurred five times on this page. Added “STANZA” for consistency in formatting between volumes. Added “COMMENTARIES” for consistency in formatting between volumes. Added hyphen to distinguish between the two words, as is done in the transliterations given by the author. No proper transliteration was added here in square brackets, because the term without vowel signs (niqqūḏ) may be given in multiple possible transliterations. See further in the same paragraph. Corrected Hebrew spelling, and updated to proper Hebrew transliteration based on ISO 259. The transliterated word occurred twice on this page. Changed to proper Hebrew transliteration, based on ISO 259, with hyphenation maintained. Changed the double-underline to bolded text. In Hebrew lettering diacritics for vowels (called niqqūḏ) are often shown below the letters, including the vowel sign “paṯaḥ”, which displays as a single underline. Hence, using a double-underline to emphasize a Hebrew letter, which was done in the original edition, may be misleading. We have thus dropped the double-underline and utilized bolded text to emphasize the characters here. Added “. (cont. )” for clarity. Corrected typographical error: “worlds” to “words”. Corrected typographical error: “destinctly” to “distinctly”. Corrected typographical error: “Deos” to “Devs”. Changed to proper Hebrew transliteration, based on ISO 259. Note: The transliteration of the letter “vāv” is given in its more common form instead of the technical “wāw”.
. . . Kadushu קדשו . . . Kadesh may mean . . . the word Kadesh is . . . The “holy” Kadeshuth . . . The Hebrew Kadeshim . . .
. . . Qāḏšō קדשו . . . Qāḏēš [ləqaddēš] may mean . . . the word Qāḏēš is . . . The “holy” Qəḏēšōṯ . . . The Hebrew Qəḏēšīm . . .
Changed to common Hebrew transliteration “vāv” (ISO 259 transliteration is “wāw”). Added Hebrew letters in square brackets for clarification. Corrected symbol, based on original source. Cypriote RO and the Coptic Ro, P. . . . formed of the Rho and Chi or R-K.
Cypriote 𐠣 [Ro/Ra] and the Coptic Ro, Ⲣ. . . . formed of the Rho [Ρ] and Chi [Χ] or R-K. Corrected to the proper Cypriote “Ra” character (𐠣); updated the proper unicode Coptic Ro (Ⲣ); and added the proper Greek characters for “Rho” (Ρ) and “Chi” (Χ) in square brackets. Again:—The . . . at Philœ. Separated quoted paragraph and added missing quotes “ ”. the astronomical cross of Egypt  . . .
the astronomical cross of Egypt  . . . Corrected the symbol. See Isis Unveiled, Vol. 2, p. 572. 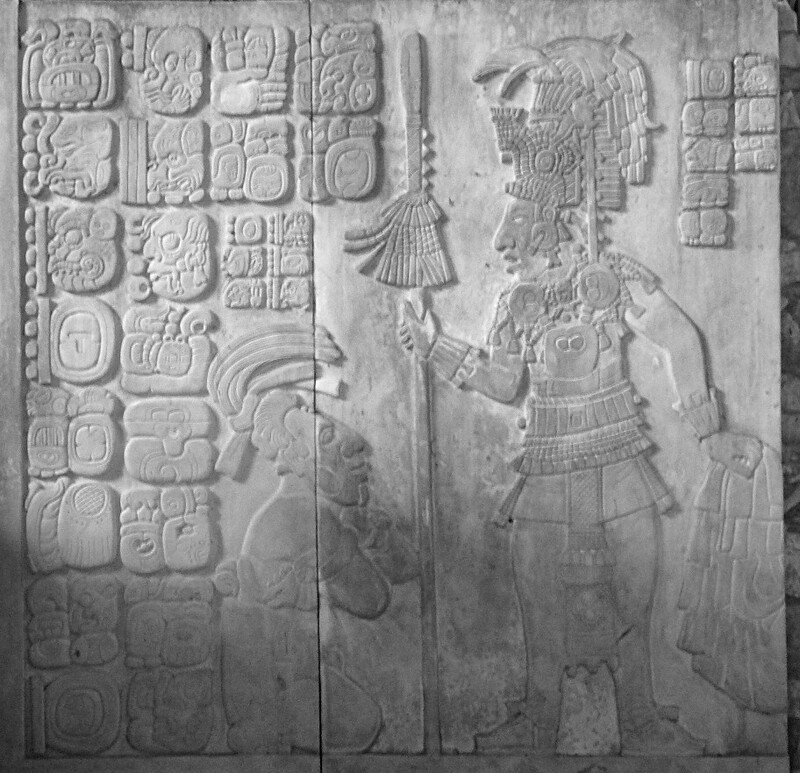 See also the bas-reliefs of the Temple of the Cross, Palenque, Mexico. An example of the Tau symbol mentioned by H.P.B. can be seen in the heiroglyphs here and here. Tubalc . . . (Tubal-cain). Corrected “. . .” to “∴” based on original source. Replaced ” with full word, for clarity. Occurred twice on this page. lasted . . . yrs. Replaced symbol with footnote number as per online edition.